In true British fashion, after months of moaning about our dismal climate, we enter into a heatwave and many of us are complaining about the high temperatures! With the likelihood that global warming will make inclement summers a thing of the past, what can you do to help your office or home stay cool? 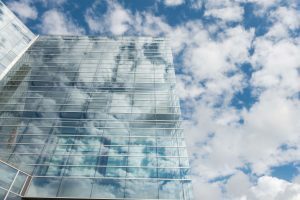 When designing a building from scratch, orienting the largest dimension of the building north and south can significantly reduce a building’s solar exposure and help keep it cool. Windows should be strategically placed to maximise cross-ventilation of rooms. The location of rooms is an important consideration when designing a building. In the UK, south-facing rooms will have good daylight most of the day but may be at risk of overheating. The times of day a room is likely to be used, as well as its purpose, should be considered when deciding its location. Interior courtyards or gardens are one example which has been around for thousands of years. Placing a cool, shaded area within a building is an attractive way to help minimise the solar radiation from outside walls and help keep the interior cool. Glass manufacturers such as Pilkington offer a range of solar control products to fit every purpose. In addition to ensuring comfort, the use of UV-blocking glass can also help to reduce your energy bills, as its insulating properties decrease the need for air-conditioning in summer and heating in winter. 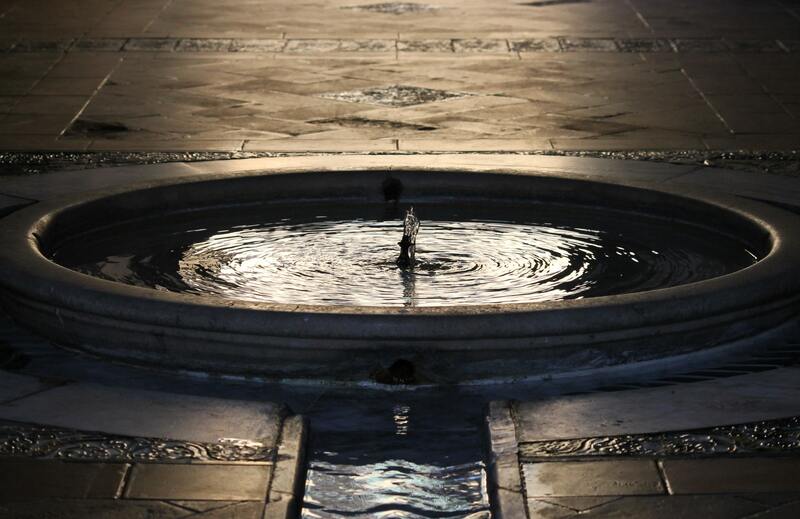 Water features are one way of keeping the surrounding air cool – as water evaporates into the air, the humidity levels increase and create a cooling effect. Water also has a soothing effect. 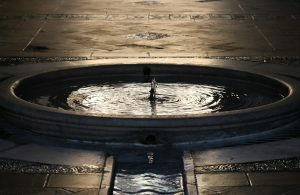 Adding a pond, waterfall, or fountain to your outdoor living space can help you de-stress as well as as keep you cool. Falling water releases negative ions into the surrounding atmosphere which are claimed to have a positive effect on our physical well-being. According to the US Energy Department, well-planned landscaping ‘can reduce an unshaded home’s air- conditioning costs by 15-50 percent’. But it’s not just clever positioning of trees that can help. Plants are increasingly being incorporated into the structure of buildings. 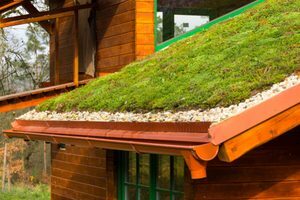 Green or ‘eco roofs’ are a recent phenomenon where a layer of vegetation is placed on the roof of a building to provide natural insulation. A team of Italian engineers discovered green roofs to be an effective form of temperature control for historic buildings where remodelling is not permitted, drastically reducing energy consumption. And incorporating trees and plants into the external design of a home or office not only helps reduce the temperature inside, but can also work wonders for improving the occupants’ mental health. Read more in our blog post about Biophilia.